This cart is designed by a professional beauty salon designer. The design concept of the cart is focused on ease of use, durability and light weight. Therefore, this cart uses aluminum alloy material as the stroller bracket, and ABS plastic as the cart tray, greatly reducing the weight of the body. This makes the cart even lighter to use. Moreover, a multi-layered tray is designed to make the loading capacity even larger. 1. 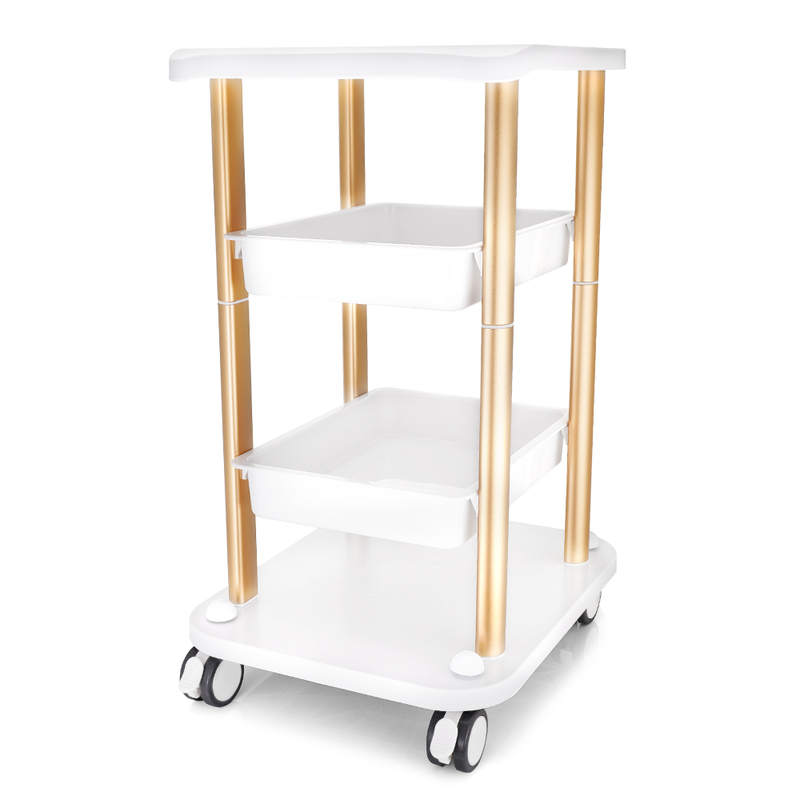 This type of cart is specially designed for the beauty industry.His design philosophy is lightweight and easy to use.